Marketing is everywhere, and we know exactly what your customers and prospects are opening, clicking, reading and seeing. 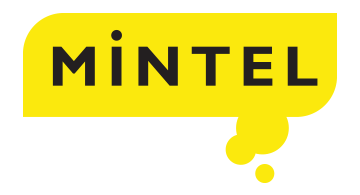 Mintel is the world's leading market intelligence agency, serving as the only source for a 360° perspective of competitor and industry marketing trends throughout the US & Canada. Mintel Comperemedia monitors communications to consumers, businesses, financial advisers, and insurance producers, using the highest quality data to directly impact client success in the financial services industry. We also have the capability to monitor who's in your customers' inboxes and what they're saying in real time through Mintel ePerformance. Our team of expert analysts make sense of all of this data to bring you recommendations that can be actioned immediately. With offices in London, Chicago, New York, Toronto, Singapore , Kuala Lumpur, Mumbai, Munich, São Pa u lo, Shanghai, Sydney and Tokyo, Mintel has forged a unique reputation as a world-renowned business brand. For more information on Mintel, please visit www.mintel.com.